Please excuse my absence this week. I guess being at a company for 5-plus years makes for a pretty busy final week. Speaking of finals, I decided that this last week of work feels a lot like college finals. The springlike weather (let’s not even talk about the snow we had yesterday), finishing up those big projects before a much-needed break, the anxiety that comes with realizing that your break actually consists of finding a job and the celebratory drinking. Ok, so I think we can all agree the drinking will never be on the same level as college finals but you get the idea. And the packing. 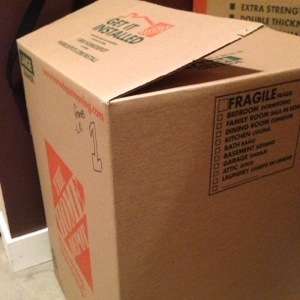 Don’t even get me started on the packing. Let’s just say my next few Workout Wednesdays are going to look a lot like this. I’m going to try my best to continue to post regularly but please forgive me if I’m off schedule for a few weeks. I am a self-proclaimed packing procrastinator. Heck, this post alone is proof of that. 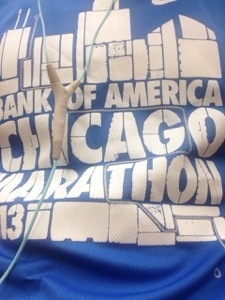 But I’m wearing my marathon shirt as a reminder that I can do hard things. That and it was the one on the top of my oh-so-messy workout clothes to pack pile.